Silver Willow Country Cruisin' will again host the ATV competition event of the year. There will be a judged ATV Show N Shine. 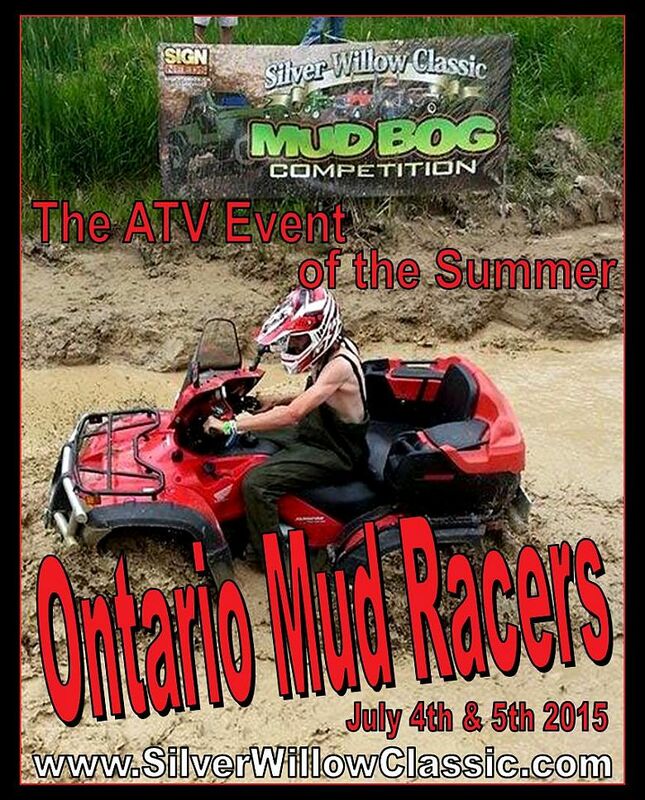 Ontario Mud Racing Association will hold their "Point Sanctioned" flat PIT RACE on Saturday and the Open Hill'N'Hole Race on Sunday. 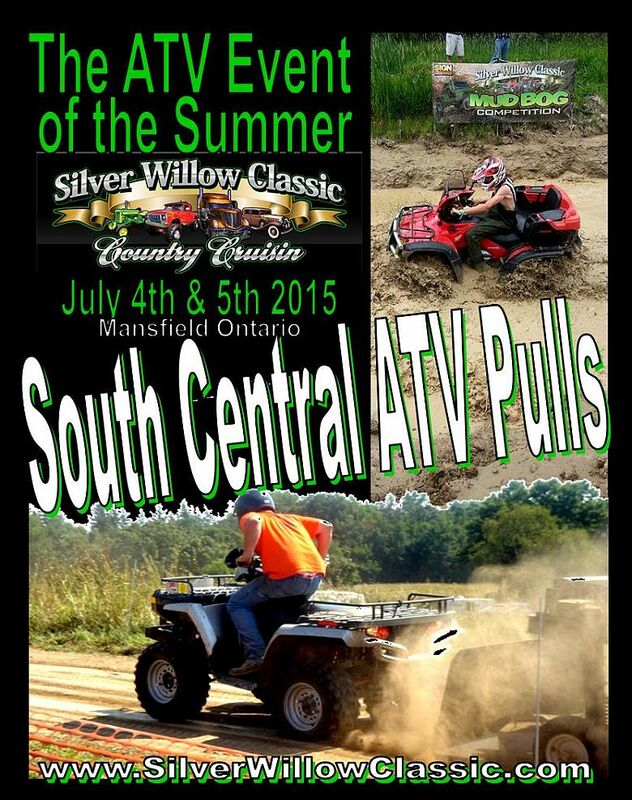 Also, new to the Silver Willow Classic is the sanctioned South Central ATV Pullers Association ATV PULL.